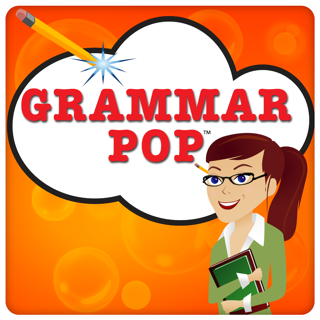 The award-winning Grammar Girl presents Grammar Pop: A fun word game for adults and a great way for kids to learn parts of speech. 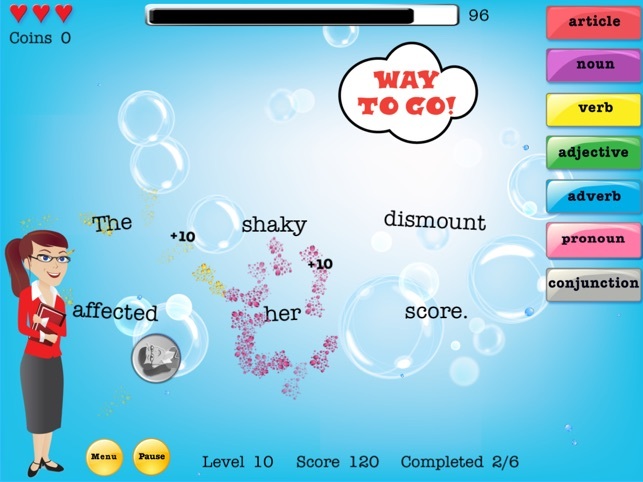 Match words with parts-of-speech, pop clouds, and progress from nouns and verbs to gerunds and participles. 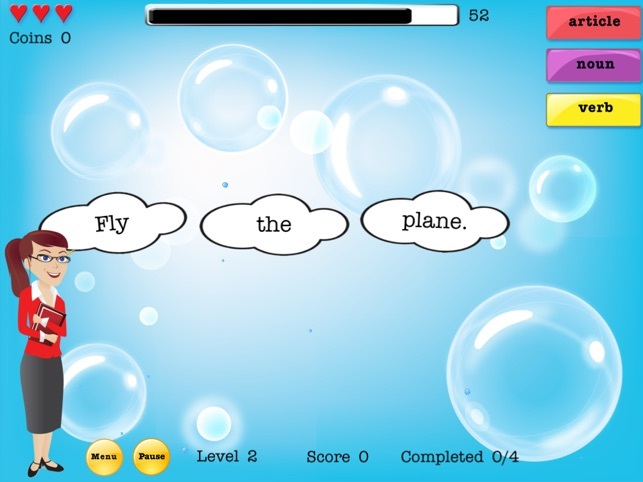 The sentences get longer, the parts of speech get harder, and the timer gets shorter as you pop more clouds and advance through the game. You won’t even know you’re learning! 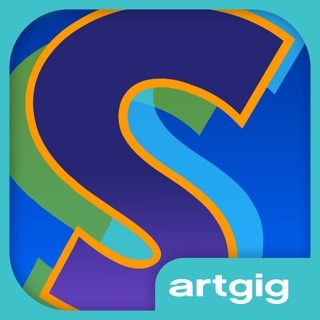 THIS VERSION IS FOR THE IPAD. 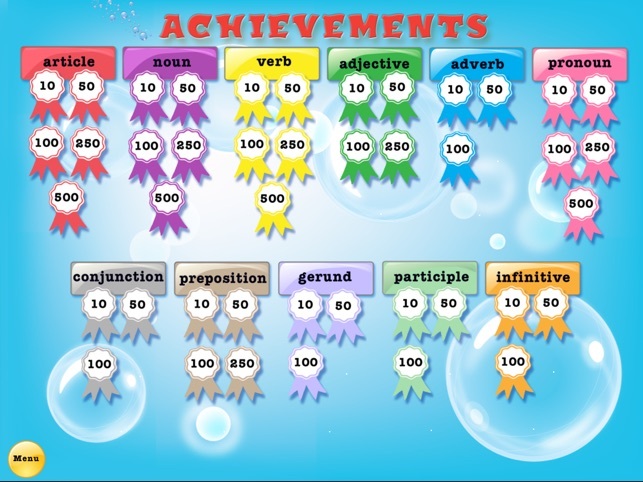 Grammar Girl products have a proven track record for excellence in education. Grammar Girl has appeared on the Oprah Winfrey Show as a grammar expert, is a regular radio guest, and has been featured in Business Week, the New York Times, CNN, Reader’s Digest, the Washington Post, and USA Today. She has written seven books on grammar, including "Grammar Girl Presents The Ultimate Writing Guide for Students," which is used in many classrooms and has been offered through Scholastic book fairs. In this version, we updated the app to work with iOS 11, made the help section more visible by putting a help button in the main playing area, and updated and added a small number of sentences. I am an adult writer using this to brush up on my skills. Love everything about the game and none of it is as "annoying" as what a previous reviewer tried to say. If the sound bothers you just turn off the volume on your device, that usually takes care of the problem. A great idea for an update would be to have global leader boards through Game Center. You could have two leader boards: one for the main score and one for the total amount of correct matches. That way people would play the levels over and over again just to add to their amount of matches. Then even when they are done with the game they would still want to keep playing to add more matches to their overall score. Game has an annoying feature. Sorry I purchased it since the sound effects can not be turned off. 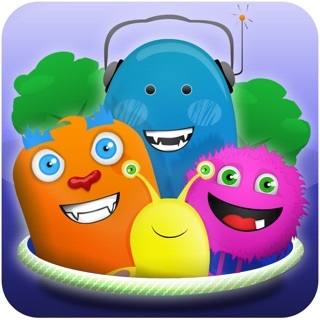 All the better App games permit you to turn the sound effects on or off. This game does not. When playing, you are forced to deal with a constant noise that sounds like water bubbling loudly (it also sounds a little like a muffled snare drum playing). That annoying sound only goes away (briefly) when you win at identifying a word, and then you must listen to a triangle-like computerized carnival sound. And if that were not enough, there is an actual voice speaking at various times (spurring you on etc). All the sounds are invasive and make you realize that the creators have a dictatorial approach. You WILL play the game the way they want - no preferences are offered to you to customize the game, i.e., you may not turn off the sounds. Quiet, peace-loving souls of silence - Beware!! 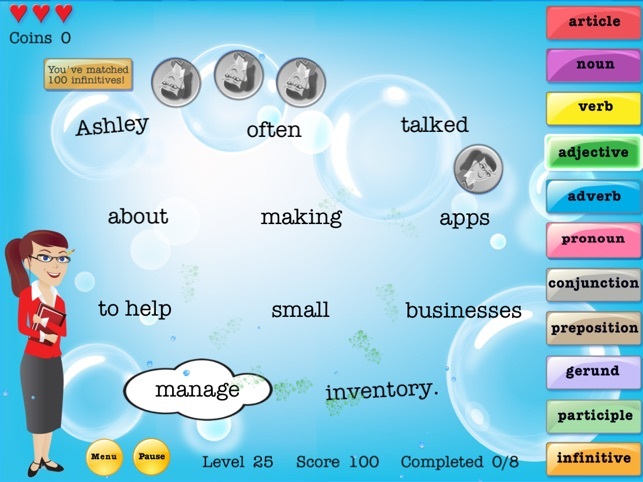 My nine year twin daughters tried this game and said, "This game made learning fun. 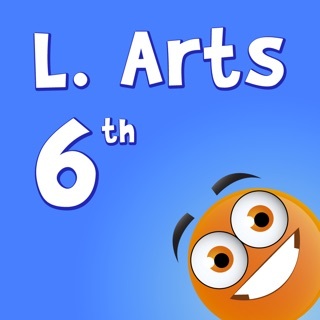 I liked the noises -- especially when I got it right!" They planned for an hour before they even let me try. They liked the progressive levels and earning coins. We will be adding this to our daily home practice. I just wish they could use the earned coins to buy things like backgrounds or even real book! They would just love that. This is a must buy for every parent who wants there kids to excel.